SINN Féin's enemies are always offering ideas on how to boost the party's fortunes. The thoughtful advice usually recommends ditching 'the old throwbacks of Adams and McGuinness and putting a new generation in charge'. But why do critics keep pushing that line? Probably because they know Sinn Féin still needs its veteran leaders and the party would be weaker without them. 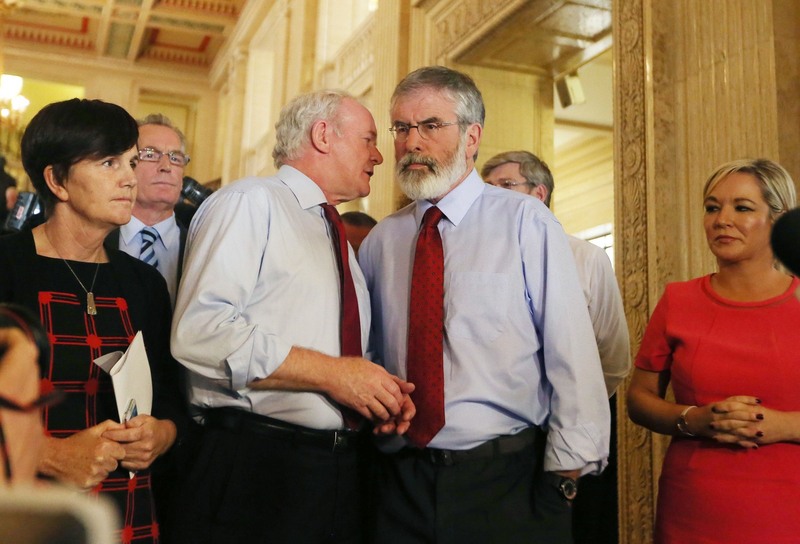 Gerry Adams and Martin McGuinness play complex roles. Not only do they lead their party at Stormont and in the Dáil, as well as representing Sinn Féin internationally, but they are also figureheads that bind together the wider republican movement that stretches back into the Troubles. There is no one else in Sinn Féin who can provide the same cohesion across those arenas. They've also led the party from nowhere to become a real presence across the island: now a party of government in Stormont and, perhaps, the leading opposition voice in the Dáil. 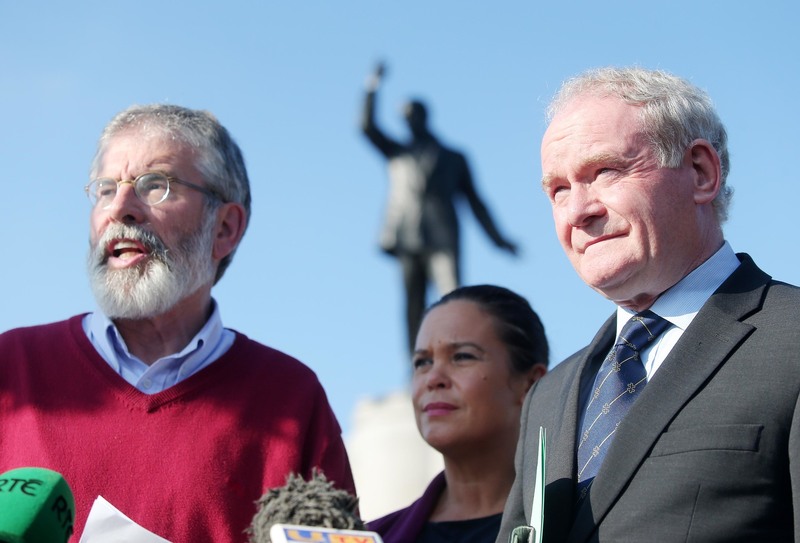 There is a growing impression that the Adams/McGuinness partnership can't be decommissioned until it has raised Sinn Féin to such a level that its gains are banked and future progress is secured. Despite securing major strategic gains north and south, a truly breakthrough moment still eludes them. Sinn Féin is also ploughing a lonely furrow. When it came to ending the Troubles, there were enough parties across Ireland, Britain and the US willing to put their shoulder to the wheel. But with peace secured, none of the other parties or governments are interested in Sinn Féin's 'change agenda'. In fact, despite a worrying level of residual paramilitary activity, other leaders are leaning towards the kind of 'internal settlement' for Northern Ireland that was opposed in the Good Friday Agreement. The British and Irish governments, for example, have effectively been disengaged for nearly a decade. Meanwhile, President Obama recently advised young people that to move forward here: "It requires forging a new identity that is about being from Northern Ireland as opposed to unionist or Sinn Féin..."
That sounded like a dramatic change in tone from the White House, even for an outgoing president. It comes as Fianna Fáil and Fine Gael want a deal on government that will also seek to corral Sinn Féin and limit its role in opposition. And while Sinn Féin does have a government partner in Belfast with the DUP, it's a partner that is dedicated to frustrating republican aims. Meanwhile, around 20% of people now call themselves Northern Irish, which Sinn Féin has tried to characterise as a non-British identity, but which its enemies are more successfully using to support the status quo. It's no surprise that Sinn Féin faces difficulties in building the fresh momentum it so badly needs. In the mouth of the assembly election, republicans' real enemy isn't their weaker nationalist opponents, but apathy among nationalist voters. Propping-up Stormont might have suited the party's longterm strategy, especially in the south, but it has left it with few eye-catching successes north of the border. But with all the main parties facing criticism over Stormont's record, Sinn Féin is signalling a focus on economic and infrastructure developments in the new term. After polling day on May 5 Sinn Féin returns to the loveless marriage with the DUP, while in the Dáil, Fianna Fáil and Fine Gael are doing their damnedest to sideline them. How will Sinn Féin respond? The party retains the ability to surprise, but on the face of it, republicans seem wedded to the long game: trying to continue to build in the south, while consolidating in the north. But if a tipping-point remains out of reach in the time head, will they begin to feel the pressure of the Adams/McGuinness era coming to an end? Sinn Féin recently made gains in the Seanad and it believes it can benefit from the deal coupling Fianna Fáil to Fine Gael in the Dáil. Major demographic shifts are levelling out the unionist and nationalist blocs in Northern Ireland. So the party may see new opportunities opening-up in the future. But for now its challenge is how to gain momentum, in the face of an uphill struggle. SEE ALSO: Peter who? Has the DUP really forgotten its former leader?